Transforming 2017 from Bland to Grand! Grand Windows and Interiors can assist you with valuable advice and affordable products for a custom design that is nothing less than beautiful. 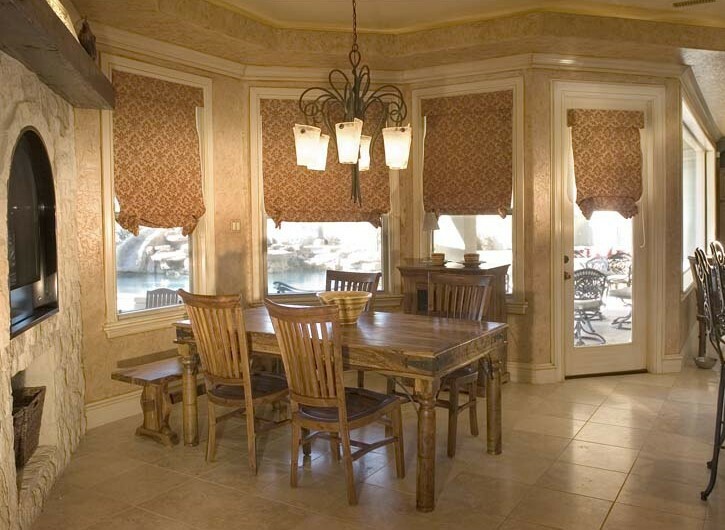 We specialize in custom draperies, shutters, shades, blinds, solar screens and tinting for windows. In addition to window treatments, we also do custom bedding and upholstery, custom metalwork, faux painting and murals, cabinetry, tile, Silestone and granite. Grand Windows & Interiors design services can help you effectively use striking style and stunning colors and textures to achieve your own dynamic style. With each facet of our design we infuse your personality and lifestyle. Our family owned business has flourished due to honesty, talent, hard work, and a strong desire to please. We are constantly investing in new ways to improve the services that we offer to our customers. We take your vision of the perfect stylistic home, and make it a reality through innovation and excellence in custom design. Each member of the Grand Windows family is a qualified expert in his or her profession, allowing us to provide workmanship which exceeds our customer expectations. When you trust us with your remodeling and décor needs, our team will deliver each, and every, time. As part of our ethos, we recognize that each customer is different and, as such, deserves a completely tailored experience. When you purchase products or services from Grand Windows, you can say your home improvements are truly unique. Whether you are visiting our Rosenberg showroom, or speaking to a member of the team over the phone, the exceptional care and attention that you receive will set the tone for what will become a lasting relationship with Grand Windows. Our customers return time and time again, because we consider each and every customer part of the Grand Windows family. Your Complete Window Fashion Specialist! 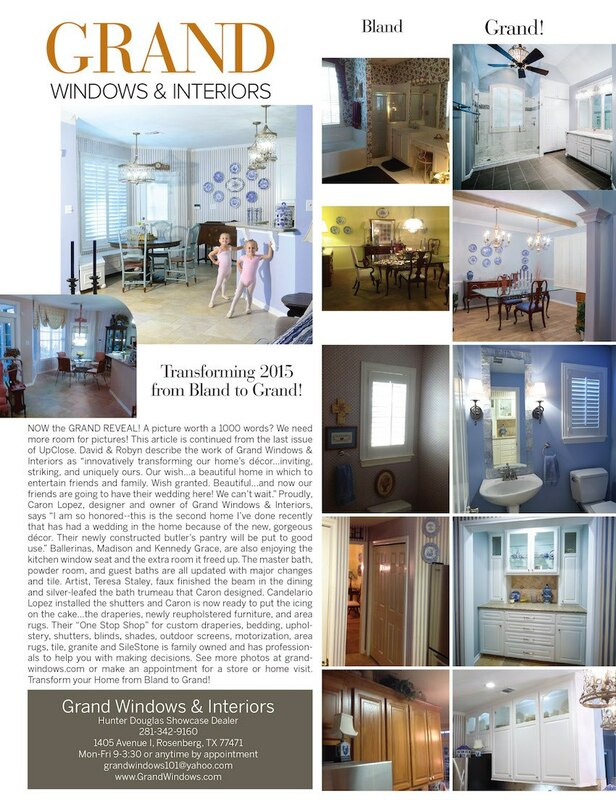 Grand Windows and Interiors is an independently owned designer and retailer of custom window treatments and home improvements proudly serving Sugar Land, Katy, Richmond, Greatwood, Fulshear, Sienna Plantation, First Colony, Riverstone, Long Meadow Farms, Missouri City, Rosenberg, Fort Bend and the surrounding counties since 1983.